From time to time I blog about some books we like in this office. Last fall I worked through Writing Your Journal Article in 12 Weeks by Wendy Belcher. 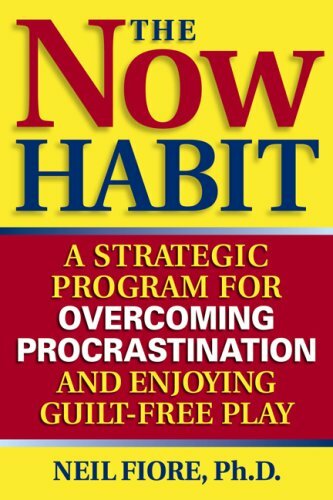 This summer I will blog on at least two books, The Now Habit by Neil Fiore; and Advice for New Faculty Members by Robert Boice. As always, I don’t blog away all the good stuff in the book (out of fairness to the authors), but I do offer tidbits, responses, and my overall take on the book’s real-world effectiveness for faculty publishing.